TMC Science & Technology is looking for Java developers to help building high-performance, scalable, enterprise-grade applications. You will be part of a talented team of engineers that demonstrate superb technical competency, delivering mission critical applications.Java developer roles and responsibilities include managing Java/Java EE application development while providing expertise in the full software development lifecycle, from concept and design to testing.You will be Designing and developing high-volume, low-latency applications for mission-critical systems and delivering high-availability and performance. TMC is looking for qualified engineers who have a background in software development, computer science, or a related subject and want to be part of the TMC Employneurship team. | WHAT DO WE EXPECT FROM YOU? Excellent communication skills in English and preferably in Dutch and/or French. | WHAT CAN YOU EXPECT FROM TMC? TMC is an international high-tech consultancy company that brings expertise to their clients in order to support them with the realization of their technological challenges. As such, TMC is operating as an expert center at the disposition of its clients and we help them to be more competitive in an ever more global and faster changing technological world. 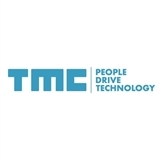 At TMC we believe that people are the driving force behind technological innovation. That is why we want to create the best possible conditions for tech talents to thrive in. We offer you a challenging and stimulating work environment in which you can be the director of your own career. As an Employeneur you are part of our TMC family. Next to our outstanding technical expertise, fun and engagement are meaningful parts of our culture. | WHY CHOOSE FOR EMPLOYENEURSHIP? Want to get notified about new jobs at TMC?